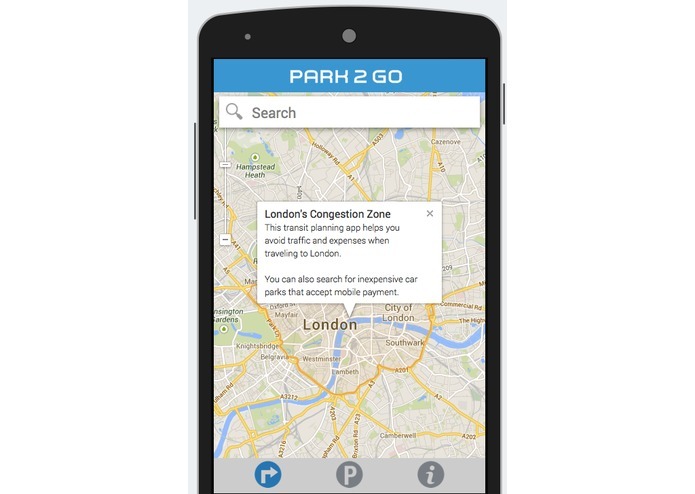 Park2Go is a mobile application for park-and-ride commuters and travelers to the greater London area. 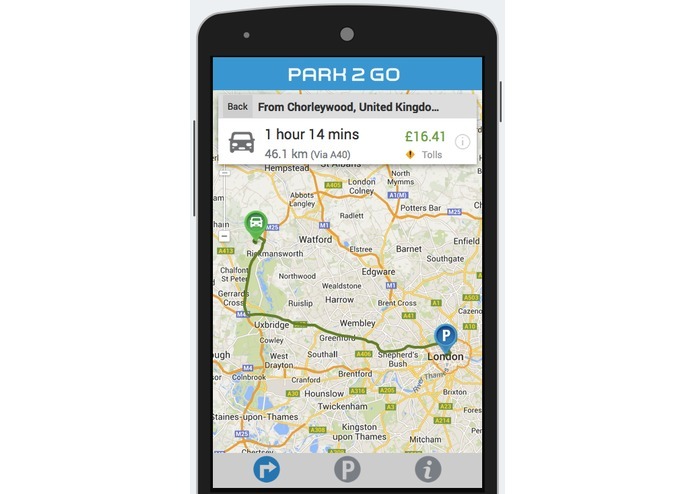 The app demonstrates how increased intermodal or mixed-mode transportation can improve user choice, while reducing traffic from drivers outside London’s ringways and congestion zone. 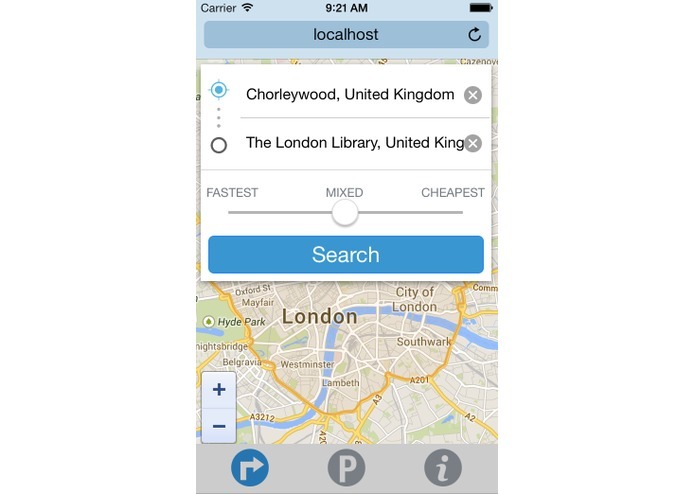 This mobile app gives users timely information and choice when traveling to central London. 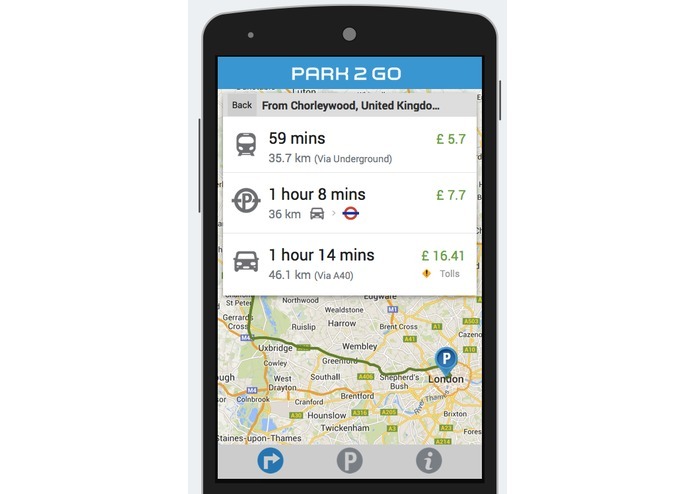 The user is able to compare the total cost and duration for each mode of travel and decide which trip is best for them. The intermodal options take advantage of affordable parking near rail and bus stations outside London’s congestion zone. In many cases, the overall trip time and cost are reduced by using the park-and-ride route. The app extends Google’s directions service to include routes that make use of both private car and public transportation.